MOVE IN READY! 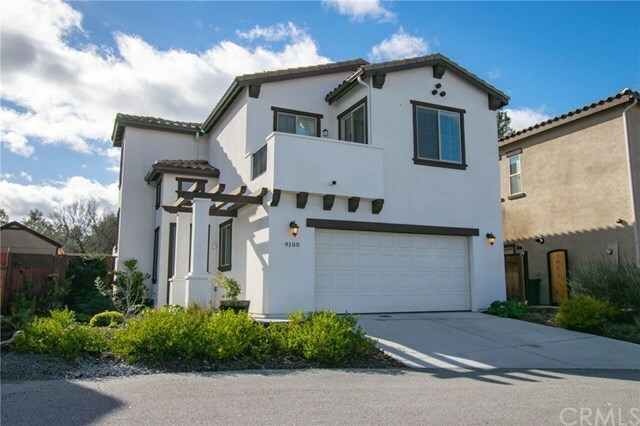 Checkout this beautiful Twin Oaks neighborhood home in Atascadero! As you pull into the development you'll find a clean, well maintained community with a fresh new feel featuring HOA maintained landscaping, playground and plenty of guest parking. This unit was built in 2015 with these being the original owners. Since then they've added new laminate and tile flooring, granite counter tops in the kitchen, water softener, nest thermostat, artificial grass & string lighting in the backyard and a 3.3 kilowatt solar system that is paid for and included in the sale. Easy access to 101 North and South makes this location ideal for your commute to work or school in San Luis Obispo or Paso Robles. A brand new Starbucks is under construction next door so you'll be able to grab your coffee and go. Also walking distance from Marston's 101 Bar and Grill and the Holiday Inn perfect for out of town visitors. Come take a look! Directions: 101 N. Exit Santa Rosa Rd., L. on Santa Rosa, R. on W. Front, L. Portola Rd., L. Coromar Ct.// 101 S. Exit Santa Rosa Rd., R Portola Rd.